Want to take your baby out on a beautiful day but worried about the sun’s UV rays? 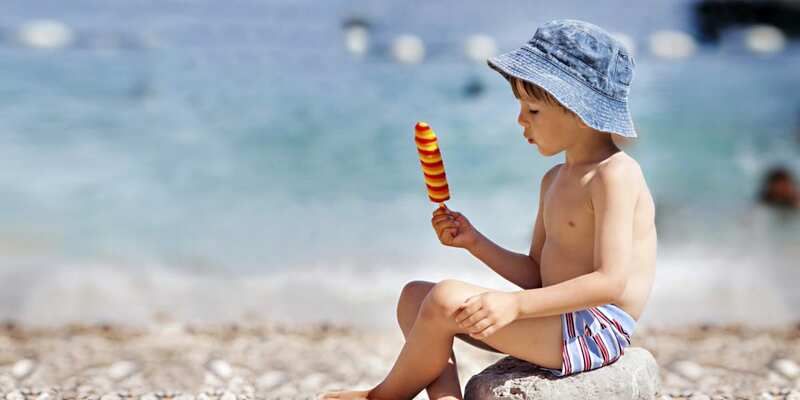 Just one blistering sunburn during childhood can almost double a person’s chance of developing melanoma, the most serious form of skin cancer.¹ Considering a baby’s delicate and sensitive skin, it’s especially important to keep them protected from the sun’s harsh rays. Here are some of the best ways to keep your baby sun safe. Clothing is a great form of sun protection for babies. Try to cover as much of your baby’s skin as possible with cool and loose clothing. Since different types of material offer different levels of protection, UV protective clothing is advised. These clothes contain an Ultraviolet Protective Factor (UPF), which tells you how well the material shields the skin from UV rays. A UPF of 50 is recommended, which blocks 98% of the sun’s rays. You can find sun protective clothing designed specially for babies and toddlers. Besides the right clothing, hats are also really important for protecting your little one’s head and face. But not just any hat will do. Baseball caps aren’t suggested for babies since they don’t offer enough protection for their cheeks, neck, and ears. A broad-brimmed hat is recommended, which will provide good protection for their face, neck, eyes and ears. When choosing a hat for your child, you should also consider its size and comfort, making sure it provides a good amount of shade but doesn’t hinder your baby’s vision and hearing. Because of a baby’s sensitive skin, it’s also important for them to be shaded when they’re outside. When going for walks, make sure to use a baby stroller that has a sun protective cover. If you’re out for an extended time like spending an afternoon at the park, umbrellas or canopies are also a good idea. Try to schedule any outdoor activities or play times earlier in the morning or later in the evening, when UV rays are less harsh. Once your baby is older than 6 months, sunscreen is advised. Look for one that’s broad-spectrum with an SPF of at least 30. You should also look for a baby formula that’s made specifically for an infant’s sensitive skin. It’s also a good idea to first test out a sunscreen on the inside of your baby’s wrist. If there’s a bit of irritation, you should opt for another sunscreen. QSun is a free sun safety app that’s great for keeping your baby safe under the sun. Available for iOS and Android, it gives personalized sun safety tips and comes equipped with lots of useful features, like letting you know when the sun’s rays are strongest during the day, and whether a sunscreen is kid-friendly or not. 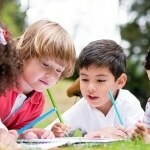 Are Schools Doing Enough To Protect Students From UV Radiation?